Wherever his coaches needed him, Daylen Calicdan was there to answer the call. 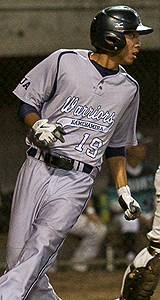 The Kamehameha-Hawaii senior second baseman was selected as the ScoringLive All-Hawaii Division II Baseball Player of the Year after leading the Warriors to their first state championship in school history. 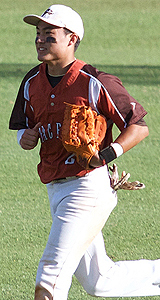 Calicdan, a four-year varsity player, started his prep career at third base, then shortstop, before finding his niche at second base in his junior season. 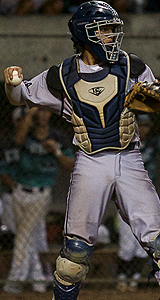 Although he was playing at second base for a second straight year, the 5-foot-11 senior made another transition as he became the team's three-hole hitter after batting cleanup the year before. 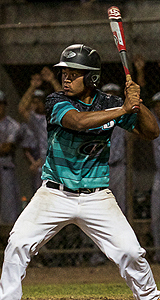 The change bore success as the three-time First Team All-Hawaii selection recorded a state-leading 28 RBIs on 28 hits, eight doubles and five triples with a 0.444 batting average. "He's an awesome competitor out there. 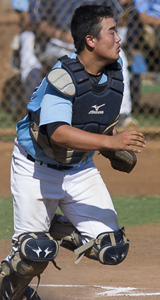 He wasn't one of those guys that was an easy out," Kapolei coach Tom Ebanez said. 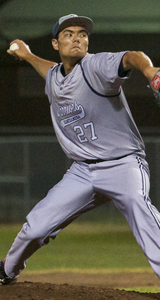 Calicdan also doubled as a sinkerball closer for the Warriors and had a 0.85 ERA while registering three wins and one save. 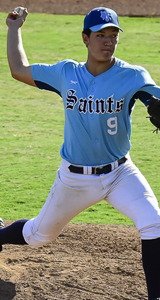 He had his finest pitching moment of the year in the Division II championship game against Kapolei when he pitched four and two-thirds innings in relief and was awarded the win. 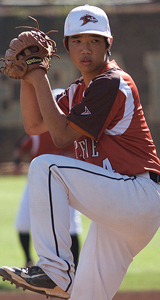 "For a guy to come in a pressure packed game, he really had a lot of poise and handled himself well," said Ebanez. It's also worth noting that Calicdan nearly sat out his senior campaign after suffering an injury to his left wrist during football season. Fortunately for him, Calicdan was able to forgo surgery to lead KS-Hawaii to that elusive title. 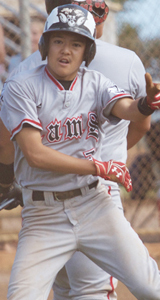 "Daylen is very well deserving of the award," said Saint Francis coach Kip Akana. 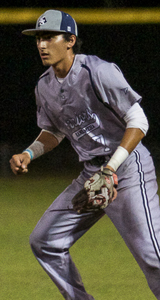 "Being a multi-sport athlete and having to battle through an injury while still having the season that he had says volumes about his attitude, character and athletic ability. 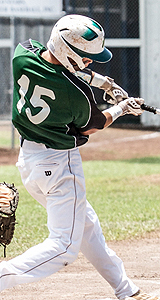 He is a great defensive player, pitcher and is arguably the best hitter on that high-powered KS-Hawaii team." KS-Hawaii coach Andy Correa is the Division II Coach of the Year after helping the Warriors to their first state title and a 20-1 record. 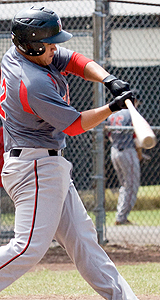 The Warriors were also undefeated against Division I competition in the Big Island Interscholastic Federation. 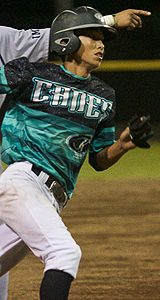 "His team and coaches are highly organized and team-oriented, and I'm sure that is a direct reflection of coach Correa," said Akana. "You don't go 20-1 and win a state championship without great leadership and I congratulate coach Correa on his championship and this award." 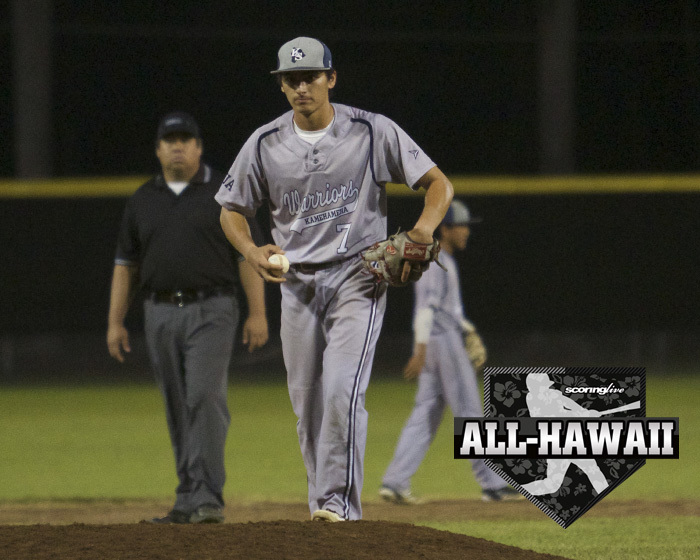 » Download a printable version of the 2016 Division II All-Hawaii Team.